You never call, you never write, you barely remembered this day was coming! Doesn’t Mom deserve better than that? 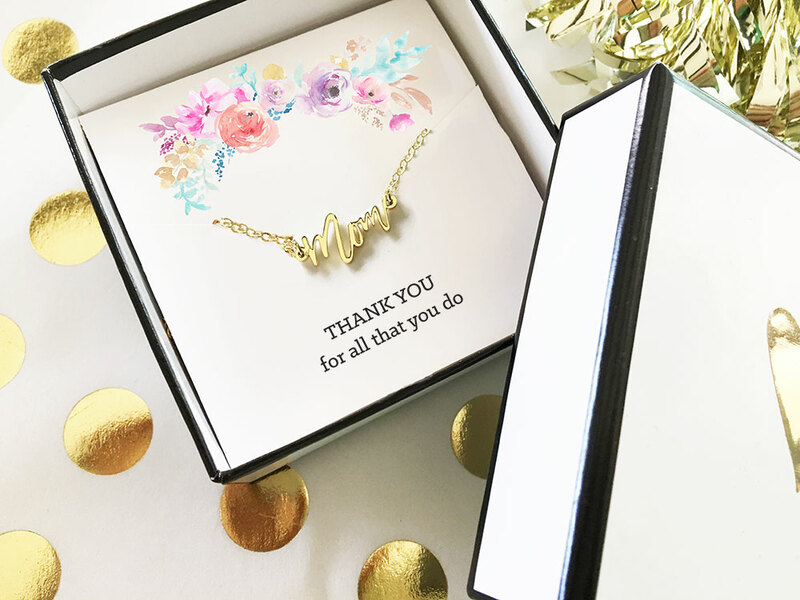 This year celebrate Mom for all she does with style that suits her. Gone are the days of a tired card or last minute flower bouquet bought at the nearest Safeway. We’re going to show you some ways to bring some life to your Mother’s Day celebration! A stylish woman like your Mom has bling to spare. 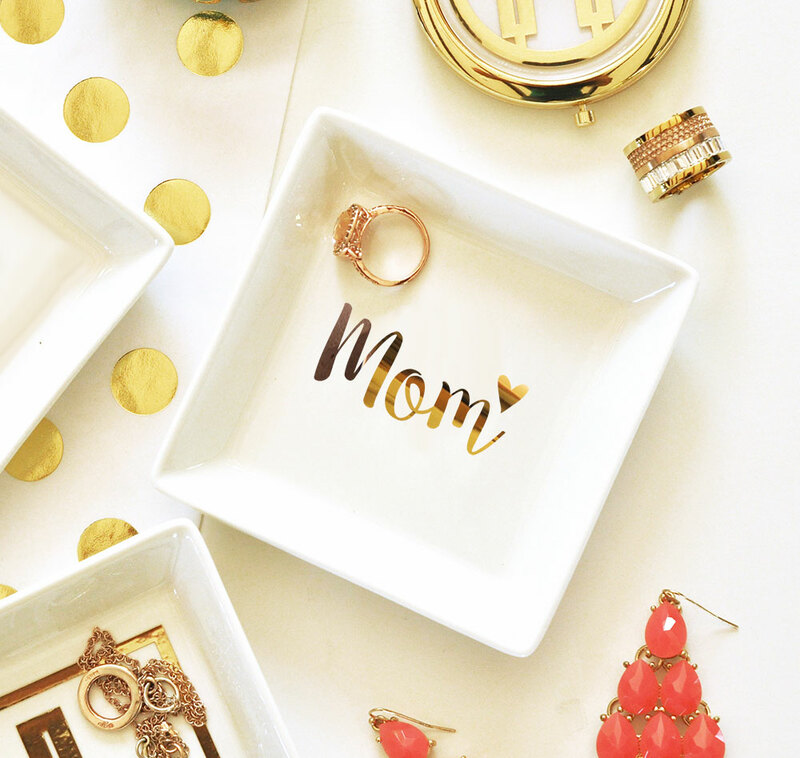 Give her a gift to keep some of all that in order with our Mom Ring Dishes! Upgrade from that old bowl you made her when you were 10 with something as chic as she is. Terrible at wrapping presents? No problem! 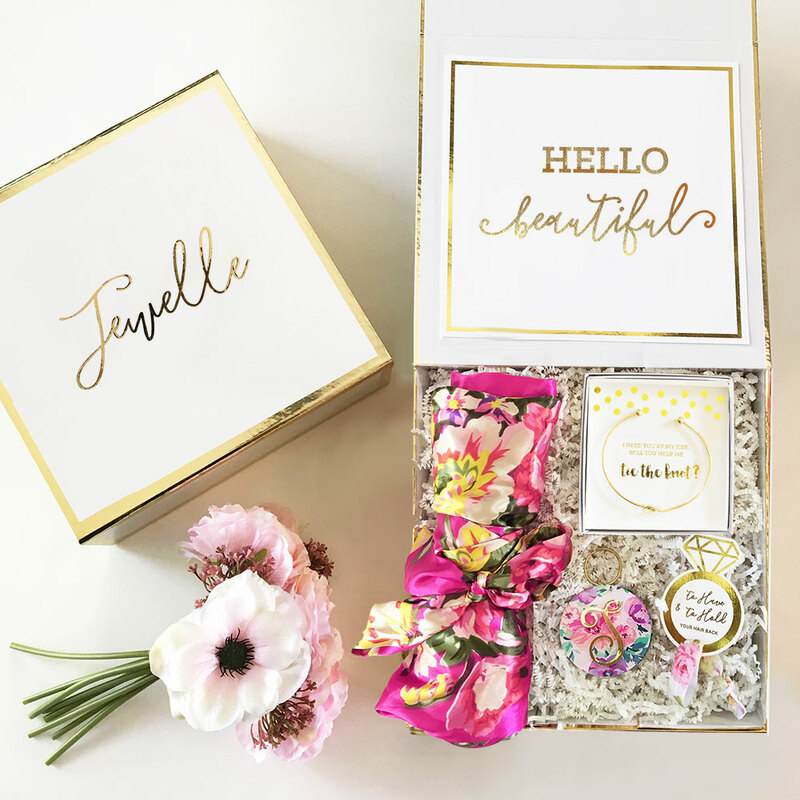 Our Personalized Gift Boxes are gorgeously glam and came with personalization in gold vinyl script. 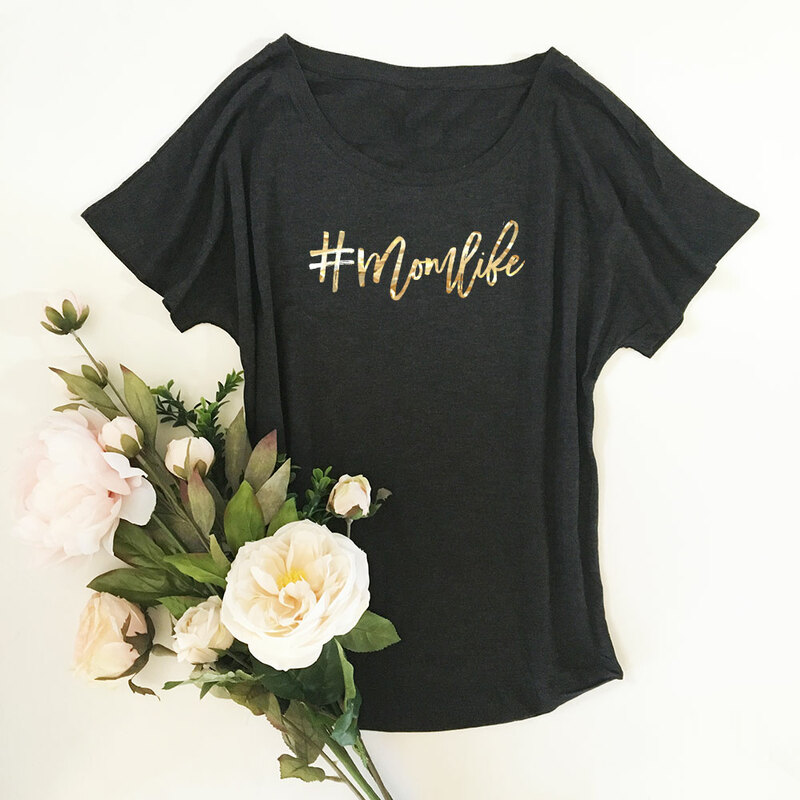 Chic and breezy, out custom dolman shirts are a perfect gift for Mom. Let her wear her title with pride and look great while doing it! Bling for your mom is the smart choice to go! Make her smile with our 18k gold plated necklace! 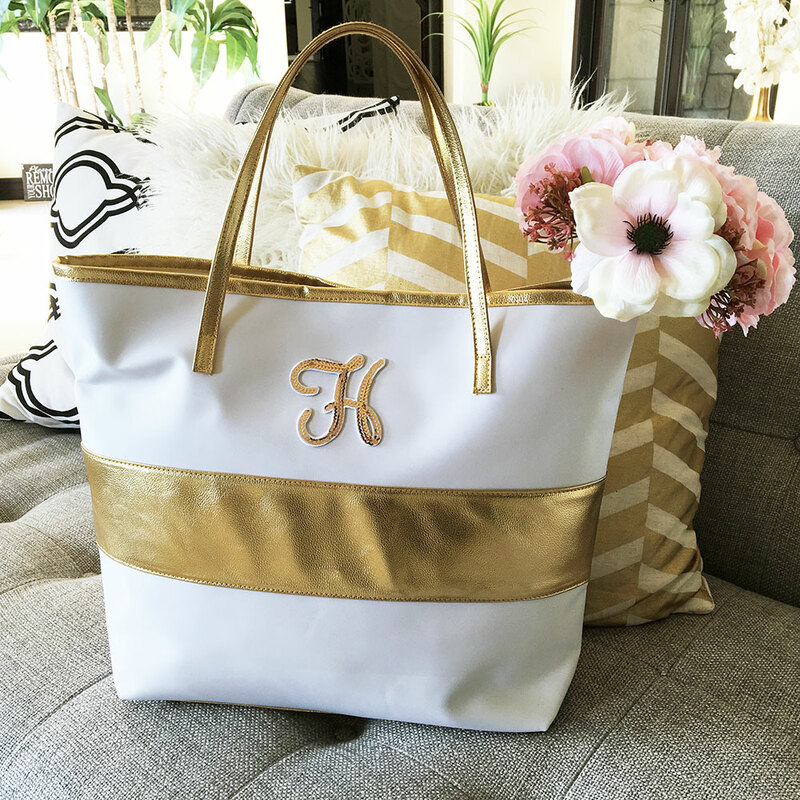 For the mom on the go, this tote bag is essential! Chic and versatile, it’s the fashionable and useful present for the modern day mom! Let the Mama Bear show it proud in the office and at home with our Rustic Mama Mugs! 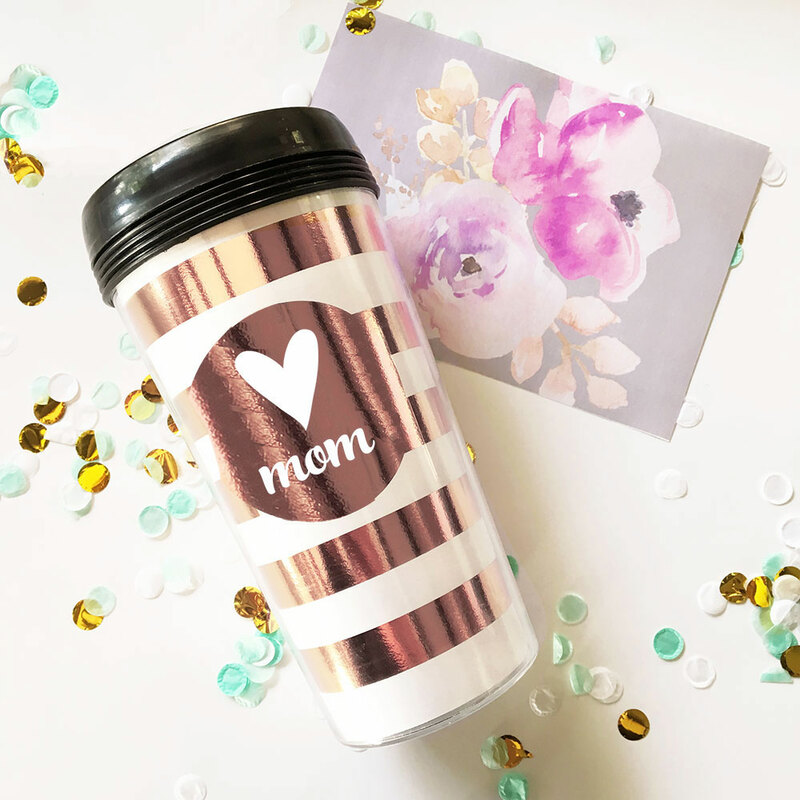 For a busy working mom, you can’t beat our Gold Travel Coffee Mugs! Personalized and lidded, not only will she be able to run out the door with her coffee hot and spill free, but there’s no confusion who’s coffee it is, Janet.